“The Hommage à la famille Hessel : Mécènes et Modèles auction, to be held on 23 March, offers one of the rarest art collections of the 20th century, including works by French modern artists Edouard Vuillard, Pierre Bonnard, Maurice Denis, Aristide Maillol, and more. I meant to mention this when I got the invitation a few weeks ago, but forgot. If you’re into impressionism go through the catalogue because you’ll see amazing pieces that are unknown to the general public. Few but wonderful works of art. My favourite is one of the least expensive works in the auction, the Laprade. I like the second painting in this post. Me too. I love the way the he’s laid out the composition. He’s appealing to all the religious imagery that people are already familiar with. That’s depressing. Didn’t someone once in the DOJ have the statues covered up because they showed breasts or something like that? Thank you for giving us such a very pleasing art show. I love the lightness of captured incident in many of the works. Also that luscious red in Bonnard’s Madame Hessel. And I could definitely live with Laprade’s treescape. The Laprade & Madame Hessel are my favourites too. Are you certain you don’t want to buy the Laprade, Pink? You could then post regular photos of it for us. I’d LOVE to buy it, but my guess is it’s going to go for considerably more than the estimate. And these days I only buy bargains and that’s never at the big auction houses anymore. 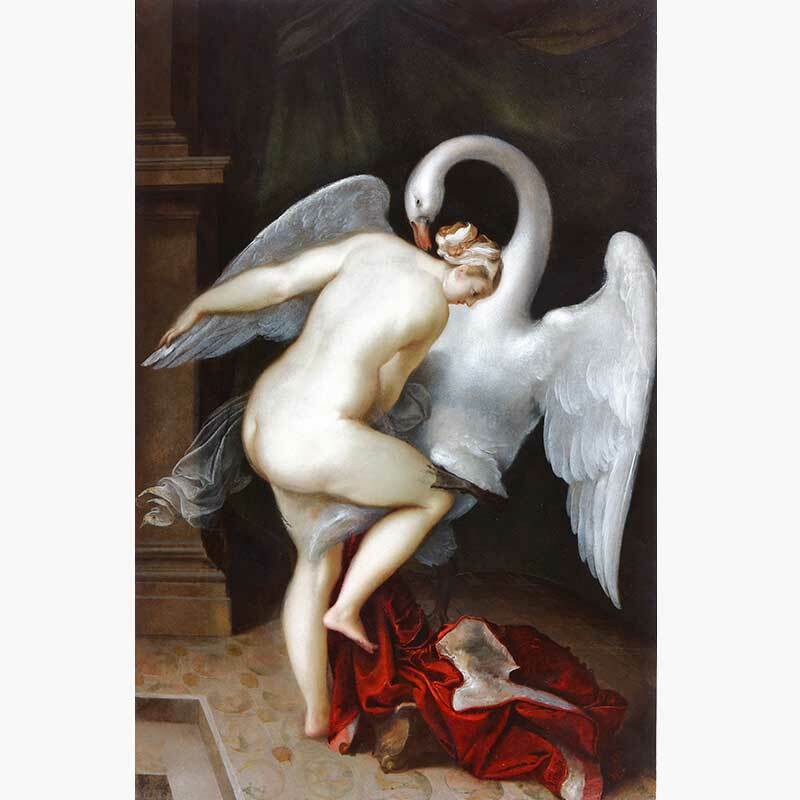 Oh…I’m a bit of a philistine when it comes to paintings so this is literally the first time I’ve seen Leda and The Swan. I’ve read about it, casually, but the real deal has to be one of the most, um, sensuous pieces I’ve ever seen! This entry was posted on March 20, 2018 by The Pink Agendist in art and tagged art, exhibitions, impressionism.